What ever I do to source it still inverts here? Probably some metadata in the properties. IrfanView fixed it. Open it using any windows app (including picture viewer) - it may appear right way round but save it anyway and it will then be OK.
Also using a V8 - I nudged the family sky dish a bit to the right and found and decoded the BADR signals ok. The dish is the larger ?Region 2? type 70x60cms. Now I just have to nudge the sky dish back again! A good way to get around this is to not use a satellite receiver but just the minitiouner with 12V to the LNB, rotate the LNB by 90 degrees and look for it at 2246MHz, which the Serit tuner will readily tune. .
As the UK longitude 26 degrees west of the satellite, polarisation is tilted too, it is going to be practically the same as for 28E so the standard LNB setting ought to work. A very long time ago I wrote a very simple, bug ridden approximately correct excel routine to work out where to point one's dish but regrettably, the forum does not allow excel files so it is a zip. That was how I set up the dish in the garden with the laptop and minitiouner but as I wanted to use it on narrowband as well as TV, using the satellite receiver to do the switching seem the easy option. 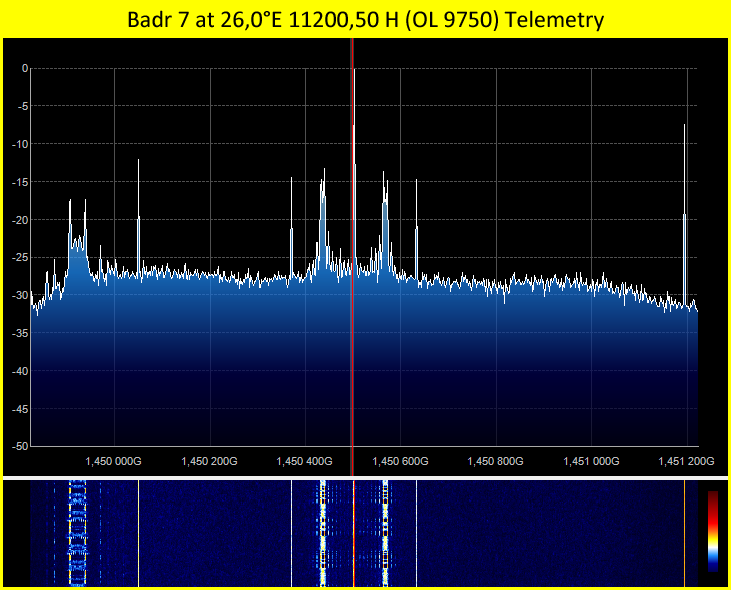 I just split the signal from my LNB out to go to my SDR and minitiouner and select an appropriate channel on the sat RX to switch horizontal or vertical. Hope this might help those still looking for 26'E or those that want to peak those few more db's out of the system.